Are you living in Milton and looking for used motorbikes? 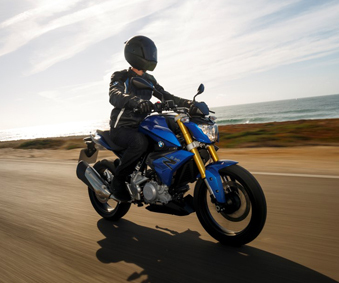 Look no further, because Budds’ Motorrad in Oakville has you covered. Whether you’re looking for a roadster, heritage series model, or an adventure model, we have something for you. We’ve been proudly serving the community of Milton for years, and we have thousands of satisfied repeat customers. Get excited to have the ride of your life, when you book a test drive appointment at our Oakville dealership. At Budds’ Motorrad, we strive to make your search for used motorbikes not only stress-free and educational, but exciting as well! Looking for the motorcycle you’ve always been dreaming of should be a memorable experience, so at Budds’ we have a team of industry experts who are here to educate you, guide you, and help you drive the bike of your dreams home. Quality and longevity are some of the most common factors that people consider when purchasing any used vehicle. When Milton residents consider our used motorbikes at Budds’ Motorrad, you can rest assured that we only supply quality motorcycles that were built to last for years down the road. Every motorcycle that enters our showroom has been thoroughly inspected to ensure that you have a smooth, and most importantly, safe ride. We want you to get the most out of your BMW experience, and so we are always here to actively support you at Budds’ Motorrad. Whether you have a few questions about your pre-owned motorcycle after you’ve purchased it, or you need to have it serviced, we are here to ensure that we service your bike in a way that is tailored to its unique build and engine. Since your BMW motorbike was built with innovative technology, we will help you maintain it with premium oil and parts. So whether you need to have a part replaced years down the road or you simply need an oil change, we are here to service your bike so that it withstands the test of time.